Oy. Winter, right? If I’m being honest, I’m feeling more frustrated with time management this week than I have in a while. I’m hoping to claw my way out to a better system this week, but it seems like that has been my goal every week so far this year. Here’s to slow improvement and making good changes over time. This made me feel better about this whole winter thing. But as you can read above I’m still pretty much over it. Since Grace Bonney is probably the closest thing we have to a president in blog world, this Blog State of the Union is a must read. And I loved Bre’s post that touched on some of those same points! Don’t miss the first episode of The Lively Show! I’m weirdly obsessed with Simple Green Smoothies lately. I heard of it for the first time when Jen spoke at a panel at Alt- if you have any interest in healthy eating and smoothies, you gotta check it out! I’ve also been on a big time Pinterest kick lately, if you’re looking for more reads this is a good place to start! My photos from Alt 2014. Thoughts on authenticity, perseverance, and originality. And more thoughts on growth, collaborations, and hiring. 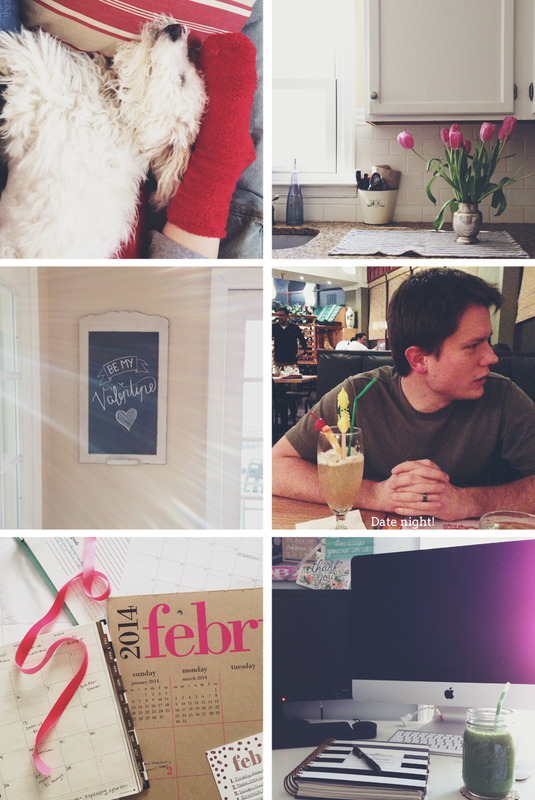 A new monthly recap as we head into February. P.S. I’m doing some maintenance over here for the next few days, so I’ve turned comments off for the time being. I promise this isn’t a permanent thing! Check back later or send me an email!